If you have a sports injury that affects your feet and ankles, a dedicated podiatrist is the first practitioner you should see. With her extensive background in sports medicine and minimally invasive surgery, Mariola Rivera, DPM, of Aesthetic Podiatry & Sports Medicine Center, is a go-to practitioner for athletes throughout White Plains, New York. Book your sports medicine evaluation today by clicking on the online scheduler or by calling the office directly. Your sports medicine treatment package is entirely tailored to you, your diagnosis, and of course, the sport in which you wish to return. 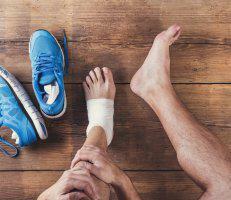 When should I see a sports medicine doctor? As you probably know, you need to see a provider who has extensive training in treating sports-related injuries as soon as any sort of trauma occurs. But sports medicine isn’t just about acute injuries. You may have an overuse injury or genetic deformity that’s affecting your game. 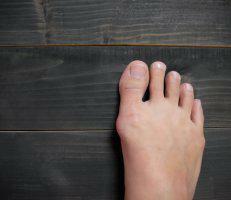 These could all be warning signs of chronic ailments, like Achilles tendonitis, plantar fasciitis, stress fractures, and other issues that commonly affect athletes. Dr. Rivera even offers regenerative medicine solutions, such as stem cell therapy and platelet-rich plasma (PRP). These innovative sports medicine treatments can speed up your recovery and reduce inflammation*. As a last resort or for a severe injury, Dr. Rivera could recommend surgery. But Dr. Rivera has advanced training in minimally invasive surgery, so you can feel confident that you’re in highly capable hands at Aesthetic Podiatry & Sports Medicine Center. You can receive comprehensive sports medicine care at Aesthetic Podiatry & Sports Medicine Center. Click on the online scheduler to book your appointment, or call the clinic.